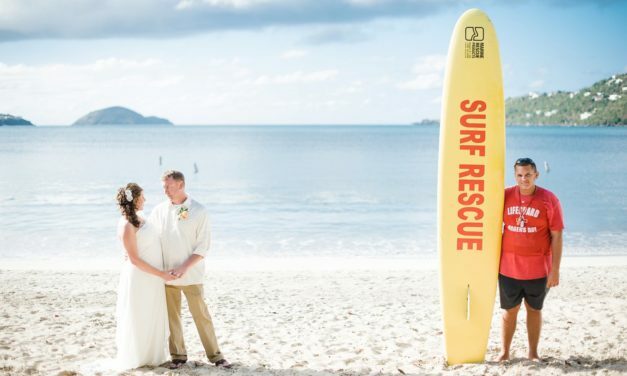 While it’s not the only option, the most popular wedding location or venue on St. Thomas and St. John is the beach. And with good reason: the Virgin Islands are known for their beautiful world class beaches with picturesque powdery white sand and crystal clear blue water. Couple’s often ask if it really look like the pictures. And the answer is an emphatic: Why yes, yes it does! One of the best things about the USVI is that all beaches in the Virgin Islands are open to the public. 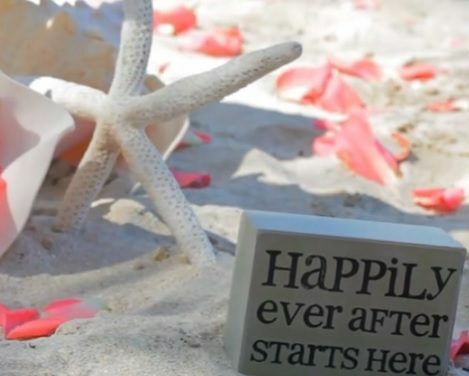 And there are many beaches to choose from for a wedding ceremony, vow renewal, or reception celebration, but my favorites are Magens Bay and Lindquist Beach (aka Smith Bay Park) on St. Thomas and Trunk Bay Beach on St. John. 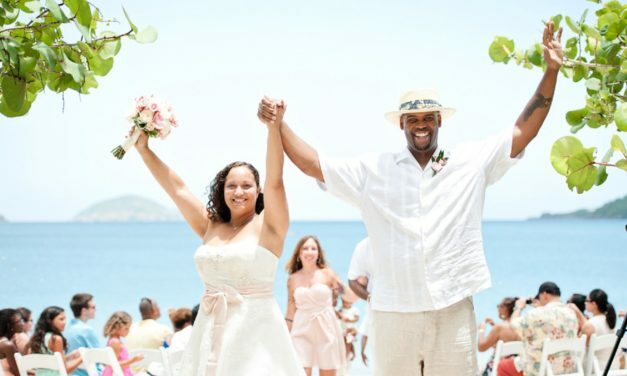 Take a look at some recent Blue Sky Ceremonies and receptions on Virgin Islands beaches. 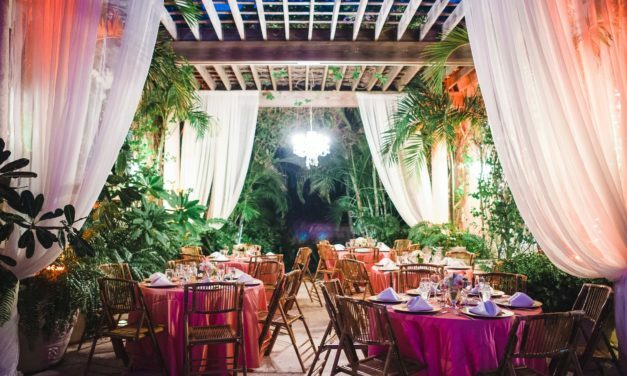 A Lindquist Beach ceremony and Villa Serenita Reception in St. Thomas, USVI. 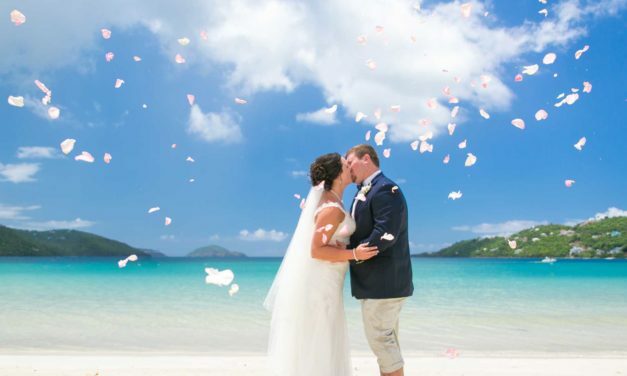 A private beach wedding at the exclusive Sand Dollar Estate in St. Thomas, USVI. 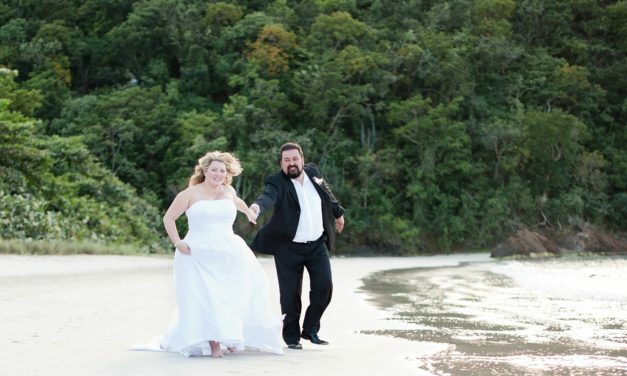 Ultra-romantic elopement wedding at Lindquist Beach. What do you do when an iguana crashes your wedding? Surprise! A proposal at Magens Bay beach. A surprise vow renewal at Limetree Beach, St. Thomas. A romantic wedding ceremony and gender reveal at Magens Bay Beach. A wedding and reception at Magens Bay with photos by Savanah Loftus. A wedding ceremony at Lindquist Beach and reception at Villa Serenita. A simple wedding at Limetree beach & celebration dinner at Havana Blue. 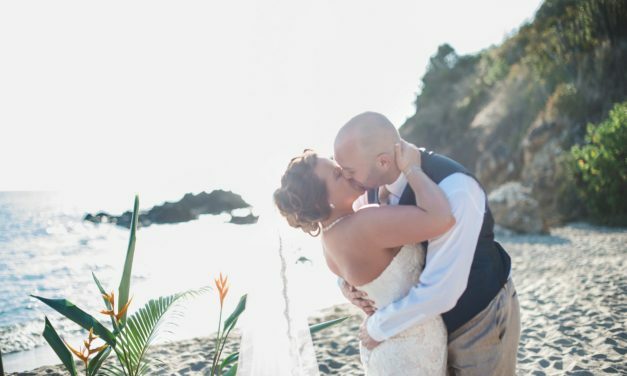 A downtown first look photo shoot and elopement at Magens Bay. A cruise ship wedding and luncheon reception at Magens Bay beach. An afternoon (almost) elopement at Magens Bay beach. 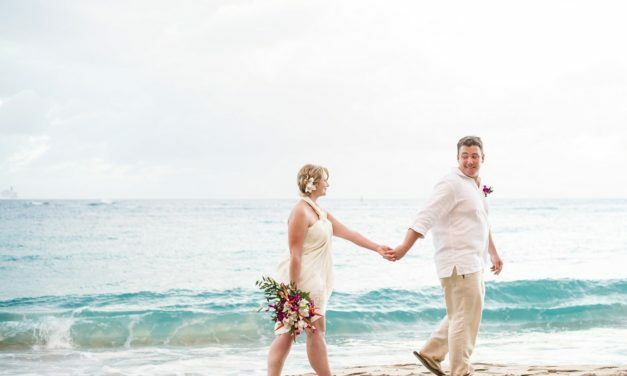 A bright cruise ship wedding at Magens Bay with photos by Megan Biggs. A full wedding weekend captured on video.